I kind of mentioned that I might need to take a blog break in August and, well, I am, a little bit. I don't know how long it will last, but I'm busy gearing up our dance studio for Fall dance classes, and while I am actually doing projects, they are larger projects (like refinishing an entire roll top desk to reveal later) or smaller machine embroidery projects (for friends, babies, baby showers), to planning a baby shower, a 2nd birthday, so not much to blog about over here at the moment, which is actually fine by me, actually. However, if you miss me (do I really have people that might miss me in the blog world? So not sure about that...) Then, you can probably find me still blogging on my family blog, which kind of got the side swipe during SOTL and I'm trying to focus on catching up on the month of July. 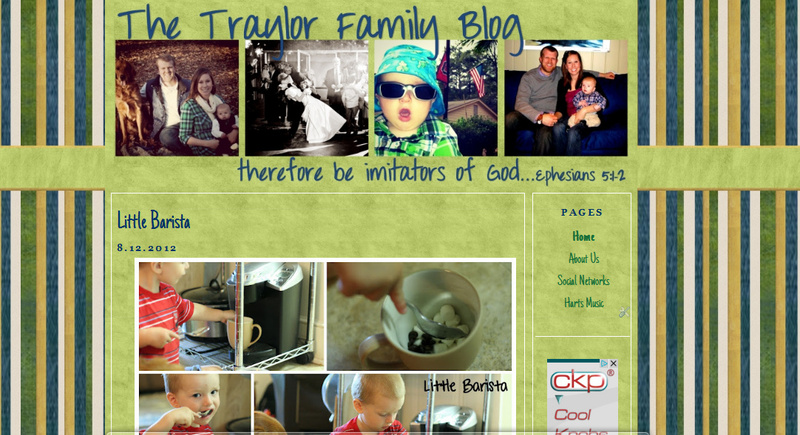 It's your typical mama/baby/family blog. Cute photos of Cai. Updates on our adoption for our next baby. Other family news. Things I struggle with. Parenting stuff. Stuff I want to remember when I'm 80 and have a blog book to look at to remember our happy life. If any of that sounds interesting, you may just want to add it to your reader.